Logan Greenleaf is a Clinical Social Worker and an out trans person specializing in trauma and LGBT-issues, particularly transgender. He also focuses on bipolar disorder, borderline personality disorder, OCD, anxiety, grief, interpersonal and sexual violence, abuse and relationship issues. His primary modalities are Solution-Focused, Strengths Based, CBT, Motivational Interviewing and DBT. His style is heavily collaborative with his clients. He works hard to ensure clients feel comfortable and heard, regardless of their identity and background. He makes continual efforts to stay educated, and his passion lies with underserved populations in need of a safe place to seek counseling. His sessions are goal-oriented, strenghts-based, and he sees his role more like a Virgil to a client's Dante. His intention is to serve a gentle and informed companion on a client's personal journey. For transgender clients, his personal background offers a uniquely informed space. Logan also works well for loved ones of trans and LGB+ people. He is currently accepting Blue Cross Blue Shield insurance and accepts a limited number of sliding scale fee clients. Bobby Newell is a Clinical Social Worker specializing in Dialectical Behavior Therapy and maintains a private practices in Durham and Raleigh, NC. With over 19 years of experience as a psychotherapist, and as a graduate of UNC Chapel Hill, she is currently serving as a private practitioner working with a broad spectrum of clients. Among her areas of expertise are reducing depressive symptoms, developing coping skills for anxiety, eliminating self harming behaviors, and using mindfulness techniques to reduce stress during life adjustments. Bobby Newell is an experienced dialectical behavior therapist. Her therapeutic approach is to provide skills coaching and practical feedback to help clients effectively address personal life challenges. She integrates complimentary methodologies and techniques to offer a highly personalized approach tailored to each client. With compassion and understanding, she works with each individual to help them build on their strengths and attain the personal growth they are committed to accomplishing. Bobby Newell received her Masters of Social Work from UNC Chapel Hill in 1999. She also received a Bachelor of Social Work from NCSU in 1996 and a Bachelor of Psychology from UNC Chapel Hill in 1995. Bobby Newell is licensed by the NC Social Work Board. Her license number is C004444. Bobby Newell has completed the DBT Intensive Training and remains on a DBT Consultation Team that meets weekly. She is in training for Somatic Experiencing and is scheduled to be a full SEP in October of 2019. Bobby has also completed an Intensive Collaborative Divorce Training and is a skilled Collaborative Divorce Coach. Bobby Newell is a member of the National Association of Social Workers, the NC Clinical Society of Social Workers, the International Association of Collaborative Professionals and the NC Collaborative Divorce Professionals. Sara Yates is a clinical social worker who specializes in treating mood and anxiety disorders. She has training in Cognitive Behavioral Therapy (CBT), Dialectical Behavioral Therapy (DBT), Solution Focused Therapy, and Mindfulness. Sara has a strong interest in bringing the creative process into therapy and is dedicated to helping patients develop sources of meaning and connection in their lives. It is her intention to create a safe and welcoming space for clients to do the courageous work of healing. She believes that the therapist’s role is to be a compassionate presence who can help clients to explore their experiences with a sense of curiosity and non-judgment. She has worked with many clients who identify as LGBTQIA+ and believes that issues of social justice are often relevant to the work of therapy. Sara has worked in both residential and outpatient settings, offering both group and individual therapy to clients experiencing depression, anxiety, trauma, substance use, and grief. 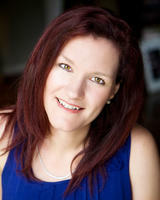 Sara will be joining the Durham office in December and will be accepting Blue Cross Blue Shield and self-pay clients.